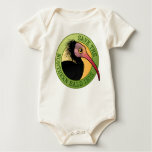 The Northern Bald Ibis is a non-wading species of Ibis with a feather-free head. The species feeds primarily on lizards and beetles, and will also eat small mammals, invertebrates and even small birds. Along with the Southern Bald Ibis, these birds prefer arid landscape to wetlands and will breed on cliffs rather than in trees, separating them from other ibis species. These large birds have black feathers with iridescence in shades of green and violet. They have scruffy crests on the back of the neck and red legs and bills. 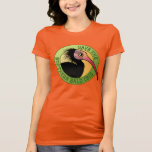 The Northern Bald Ibis is a critically endangered species originally native to the Middle East, north Africa and south Europe. The species is no longer found in Europe and is unfortunately declining in its remaining range. The bulk of the population today is a 500+ bird group in Morocco. 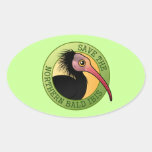 There are approximately 1100 Northern Bald Ibises living in captivity. 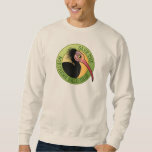 Interestingly, the Northern Bald Ibis became one of the world's first protected species by decree of the Archbishop Leonhard of Salzburg in 1504. Despite this status the species still died out in Austria, along with the rest of Europe. 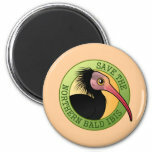 The Northern Bald Ibis is a critically endangered species originally native to the Middle East, north Africa and south Europe. The species is no longer found in Europe and is unfortunately declining in its remaining range. The bulk of the population today is a 500+ bird group in Morocco. 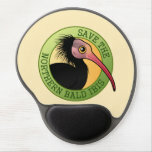 There are approximately 1100 Northern Bald Ibises living in captivity. 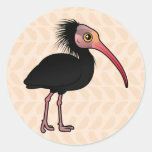 Interestingly, the Northern Bald Ibis became one of the world's first protected species by decree of the Archbishop Leonhard of Salzburg in 1504. Despite this status the species still died out in Austria, along with the rest of Europe.